NOW: The Morrow Block survives in Jean’s repeat, with changes, although theatre is still alive in the building. In 1995 Taproot Theatre started performing on the stage of what was once the Grand Theatre and then the North End Cinema. The marquee can be seen behind the trees. 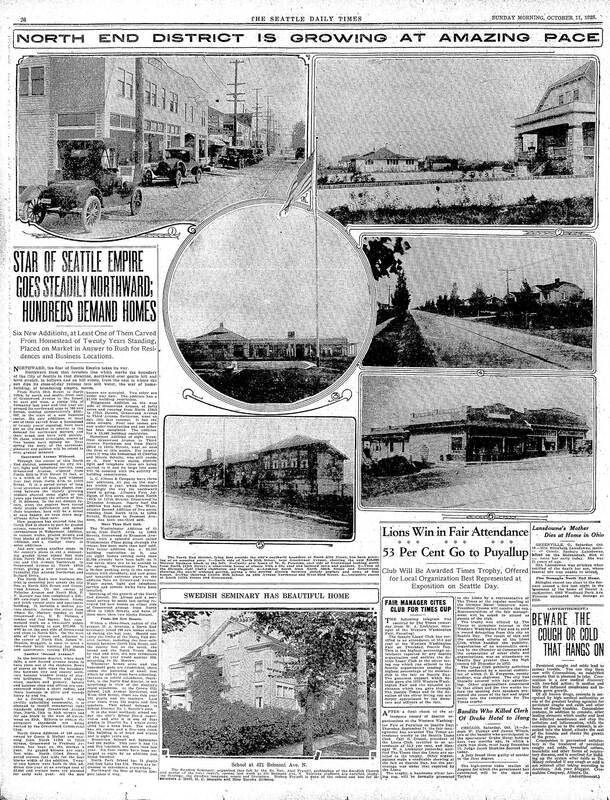 The TIMES coverage on Greenwood from Oct. 11, 1925 – DOUBLE-CLICK IT! Seattle first reached this corner officially in 1891. With an act of territorial bravado the city annexed much of the north end where stumps still far outnumbered citizens. Hardly a road then, 85th Street was agreed to by vote as the expanding city’s new northern border, but with exceptions. 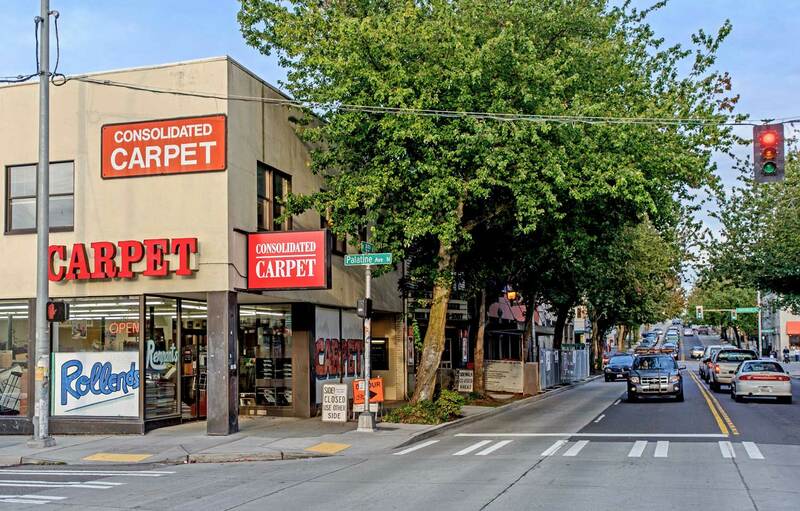 Ballard, the “shingle capitol of the world”, kept to itself, and the Webster Point peninsula dividing Lake Washington proper from its Union Bay was still many years from being promoted as the exclusive Laurelhurst, which was first annexed in 1910. 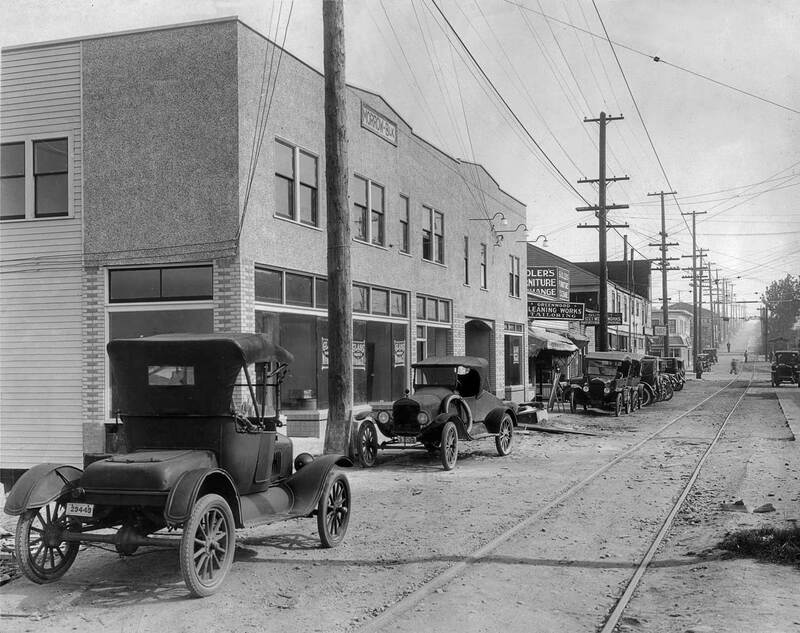 In 1910 Trollies first reached N. 85th Street on Greenwood Ave – one block east of the Times photographer’s position. Here 15 years later the city still stops at the centerline of 85th. Consequently, the structures on the left have only King Country addresses and taxes and would remain so until Jan 4, 1954. P.M. Morrow built the almost finished frame and brick veneer building here at the northeast corner of 85th and Palatine with plate glass storefronts, apartments upstairs, and a movie theatre – the Grand – at his building’s eastern end. 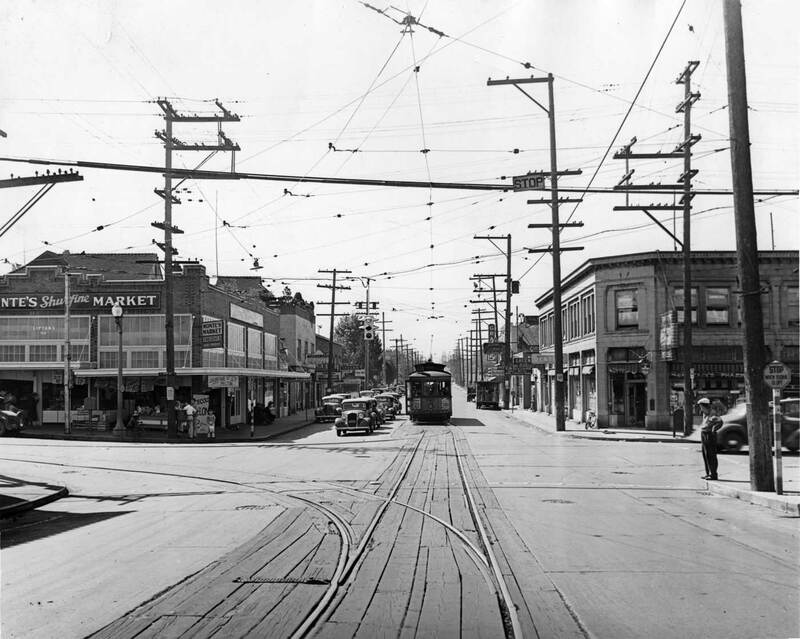 Looking west on 85th thru its intersection with Greenwood in 1939, and so near the end of its rails. 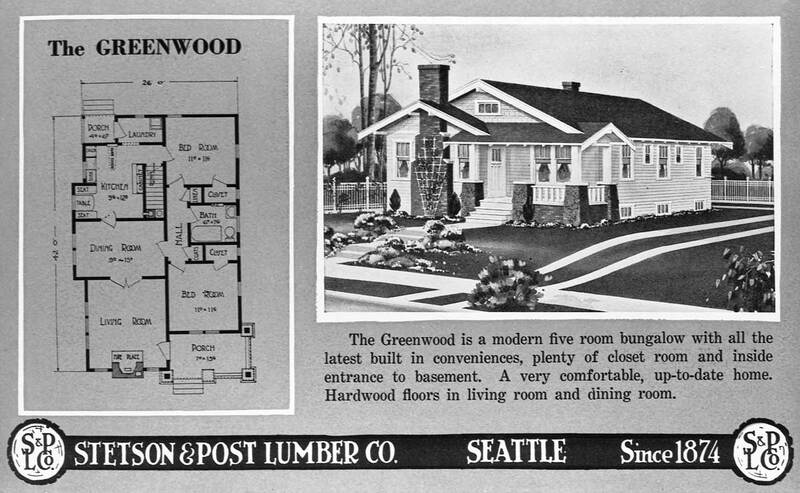 The Greenwood page from Stetson and Post’s pattern book of typical home types to build with their lumber. Anything to add, Paul? Sure Jean, in spite of the troubles we are having with this program, we may start with Ron Edge’s help. He has pulled 4 past features that are relevant to the Greenwood Neighborhood, meaning in or near it. Then as time and this machine allows I’ll add some others below the Edge Four. For those, just click the pictures.